Click here to read more and order. Here they are - back with you again! 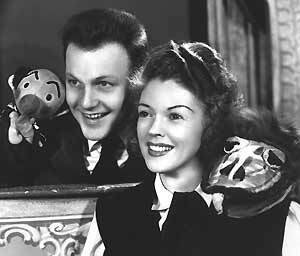 Kukla, Fran and Ollie, and all the Kuklapolitan Players, along with their creator, the great Burr Tillstrom. I hope this site will help in some small way to keep Burr's work alive, and perhaps even find some new fans for the best puppet show ever on television. 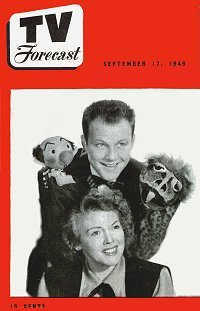 While many remember Kukla, Fran and Ollie as hosts of the CBS Children's Film Festival, their original series (1947 - 57), was actually watched by more adults than children. This first show counted Orson Welles, John Steinbeck, Tallulah Bankhead and Adlai Stevenson among its many adult fans, and had sponsors like Life magazine and Ford Motor Co., who surely weren't trying to reach children. How did this happen? Click here to find out! 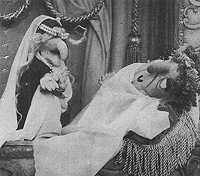 Scroll down to check out the sound & video clips, magazine articles, fan letters and photos I've gathered, and you'll see why James Thurber once wrote that Burr was "helping to save the sanity of the nation and to improve, if not even to invent, the quality of television." All images are copyrighted and owned by the Burr Tillstrom Copyright Trust.